But when you look at the scale of the problems outlined in the report, like the number of floods increasing by 15 times since 2005, extinction rates increasing by a huge rate – are these reversible? See Alex Cull’s transcript for the full interview. 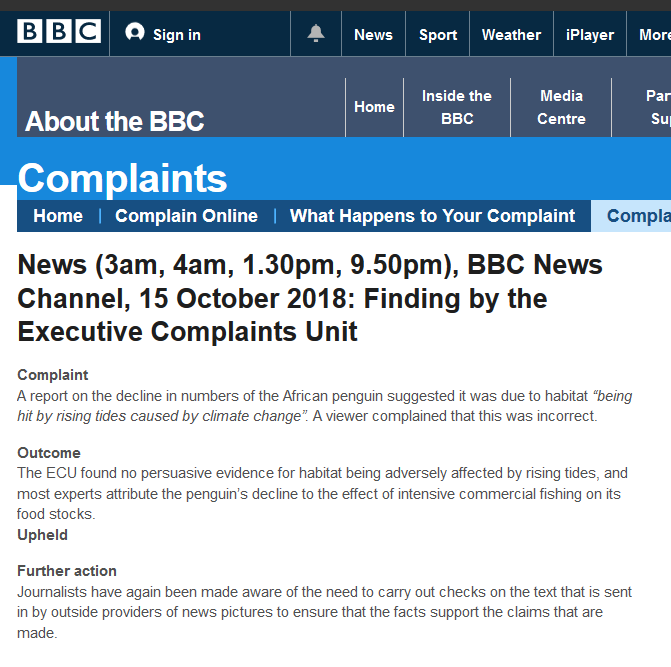 As I mentioned at the time, I filled in a complaint form on the BBC website about this on the same day, requesting a correction and an apology for misleading listeners. Here is the text of my complaint (the system doesn’t allow you much space, so you can’t go into any detail). At 6:50 today 12 Feb on the Today Programme there was an item about a report by the IPPR. Martha Kearney read out something from the report, saying “the number of floods increasing by 15 times since 2005”. Please correct this falsehood and apologise for misleading listeners, as soon as possible, preferably on tomorrow’s Today Programme. Thank you for contacting us about “Today”, broadcast by BBC Radio 4 on 12th February. I understand you believe Martha Kearney read out an inaccurate figure on the programme. Martha was citing a figure that was in the IPPR’s report at the time. The report was later amended however. Please rest assured there was no intention to mislead listeners. Your complaint was made available to senior management and “Today” on our Audience Feedback Report. This report is among the most widely read sources of feedback in the BBC and helps to inform our approach to reporting. For such a short letter, it is remarkably disingenuous. Firstly they say that I “believe” the figure was inaccurate, as if that is merely my opinion, but they later acknowledge that it’s more than that, since the IPPR changed their report. Secondly, they imply that it’s all OK because the report was later amended. As if the 7 million listeners who the BBC misinformed will all have gone to the IPPR website, a few days after the Today programme announcement, downloaded the report, and noticed that the claim about flooding had been changed. Finally we have the statement that there was no intention to mislead. Of course that is not the point and that is clearly not what I was complaining about. The BBC misled the public and should issue a correction, on the same programme, as I said in my complaint. Tags: BBC, Journalism. Bookmark the permalink. Sadly, that is how the BBC operates. I have read time and again about people having to hammer away at the BBC to get them even to acknowledge that they have done anything wrong, let along make an appropriate retraction/correction. Perhaps you should join forces with Paul Homewood – he seems to make occasional headway, but it appears he has to be extremely tenacious to achieve anything. What about the correction/apology that Homewood got out of them for Harra’s article ? the BBC often quote from unknown/not clear who the sources are. they should be made to state clearly for the public, if the info they are giving is from a government dept or a independent org/thinktank. BBC acting just like some televangelist….except with fewer scruples. The ironies – it’s difficult to know where to start. I’ve always thought that the BBC is much more conscious of trying to represent diversity of opinion within Parliament than within the general public. Unless there is some sort of public revolt against the BBC, the MPs in the House of Commons are the only people who will determine when the BBC’s current funding arrangement (by the public paying a compulsory license fee) eventually stops. So the BBC is much keener on ingratiating itself with MPs than with the license fee payers. On Brexit, the public view is obviously given by the Referendum result in 2016: 52% Leave, 48% Remain. But in the House of Commons, the proportions are more like Leave 23%, Remain 77% (based on Jacob Rees-Mogg’s estimate that there are only 150 MPs out of 650 who actually voted Leave in the Referendum). The BBC generally tends to have about three times as many Remainers as Leavers on in programmes that discuss Brexit, and that reflects the parliamentary composition. The BBC’s Brexit coverage will look much less biased to MPs overall than it does to the public. In that survey, the UK public’s attitude to the Green movement was that 20% thought it was a “Force for Ill” and 57% a “Force for Good”. The BBC does not really attempt to represent the 20% of the public who think it is a “Force for Ill” at all. By contrast, the BBC puts in a very substantial effort to represent the somewhat smaller 13% BAME (Black, Asian and Minority Ethnic) section of the public. The number of MPs in the House of Commons who think the Green movement is a “Force for Ill” is I suspect far lower than 20%, maybe just a few percent – only five MPs voted against the introduction of the Climate Change Act in 2008. The BBC’s coverage of the environment is much more in tune with parliamentary opinion than it is with public opinion. When you do see the very occasional critic of Greenery on the BBC, it tends to be somebody who is connected with politics that MPS would be likely to notice, like Nigel Lawson, Quentin Letts and Piers Corbyn (Jeremy Corbyn’s brother). As a final example, the Ashcroft polling survey in 2016 indicated that 30% of the public thought that multiculturalism was a “Force for Ill” and 47% thought it was a “Force for Good”. Amongst MPs I can’t think of one who has spoken up against multiculturalism (if they do, I suspect they “lose the whip”). Now the BBC’s coverage of multiculturalism is pretty much that nobody in the UK is against it, which might be in tune with parliamentary opinion, but not with public opinion. Should we always follow the crowd and do what the the majority favours? Should the BBC? We all await to hear what the wise old sage Attenborough will tell us about ‘climate change – the facts’ next Thursday on the BBC at 9pm. With Walrusgate now hanging over him, it will be interesting to see what the public reaction will be to this prime time BBC program on the dire perils of global warming. I don’t know if it is representative or not, but the reaction of Gogglebix viewers to the walrus scenes was everything Attenborough could have hoped for. Strange that #BBCr4Feedback asks "Is the BBC doing enough for Climate Change activism ?" child “I want to live in where there are polar bears” etc. 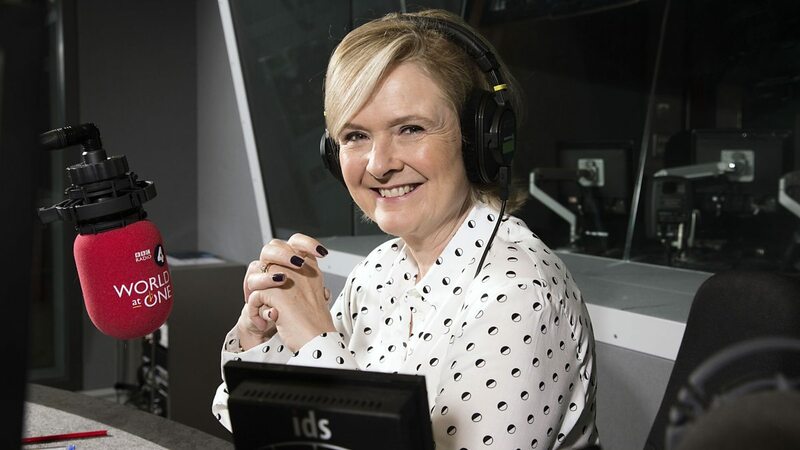 …she did the Labour Party PP broadcast the other day. ..accept a Smart Meter … or the polar bears will get it ! Jit. I watch Gogglebox because others in my household wish to watch it. You might try it on a trial basis because I often find it informative. The common reaction of a diverse set of people to the same TV fare can be very educational. It seems to show (never forget it goes through an editing process) just how uniform these reactions can be despite wide variations in location or background. You can also see your own remembered reactions mimicked, although sometimes, as in the walrus incident, other people’s reactions seem overly exaggerated. You observe how they (and you) have been manipulated. “Please accept our apologies for the error and any concern caused. “Should we always follow the crowd and do what the the majority favours?